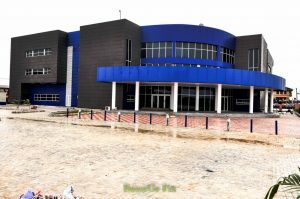 The executive governor of Rivers state, His Excellency, Governor Nyesom Wike has commissioned an ultra modern Cultural center in the city of Port Harcourt. According to the commissioner for Culture and Tourism, Mrs. Tonye Briggs Oniyide, the contract for the State of the Arts Cultural Center was re awarded in January this year and the governor in marching words with action, made money available and ensured that the contract was completed in record time of less than 120days. 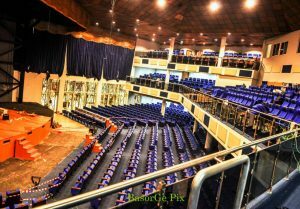 The Cultural center built and furnished to international standard and specification is an edifice with 1800 Seating capacity Auditorium, 34 Offices, A Governors’ Lounge, A Media Center, A Conference Hall, 2 Meeting Rooms, 5 Box Offices, One Food Court, Pop corn and Ice cream Bay, Central Dinner Room. According to the Commissioner, the Cultural Center project in line with directive of the governor, has the facilities and ambience that meet the standard of any of such facilities in any part of the world. 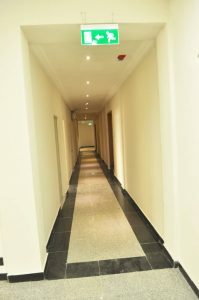 She added that the Cultural Center which has 48 Guest Rooms, modern elevators and Generators is acoustically treated and technically fit to host Cultural and Entertainment events for the comfort and relaxation of the indigenes and guests of the state. According to some major stakeholders in the Arts and Culture industry, with this development, Governor Wike has changed the narratives in the industry. It is now obvious that as Rivers state prepares to host the forthcoming National Festival for Arts and Culture (NAFEST) later this year, the state is determined to make this year’s Festival the best of its kind in the history of Nigeria. it will be recalled that NAFEST is a post civil war strategy of the federal government of Nigeria that is based on the concept of using festivals to promote national unity. Governor Wike had earlier in the year graciously agreed to host this year’s edition of NAFEST in the garden city of Port Harcourt, Rivers state.